Beacon Reader simultaneously launched crowdfunding campaigns for seven news startups earlier this week. All members of the Investigative News Network (INN), the campaigns appear together on INN’s Spotlight page, a first for Beacon Reader, according to company cofounder Dan Fletcher. 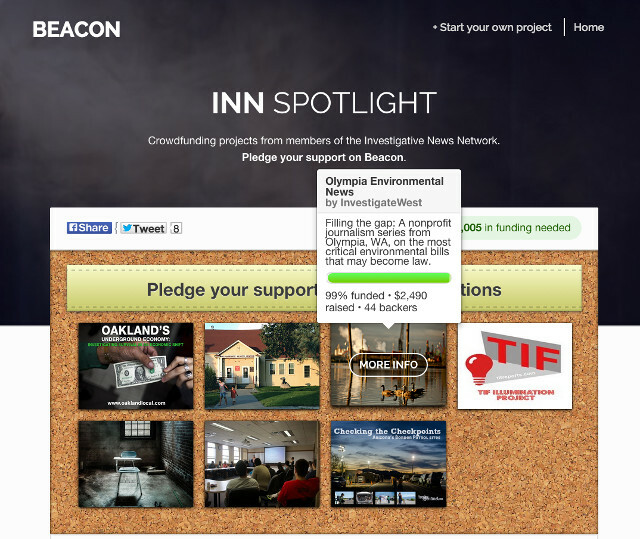 Like Kickstarter’s curated pages, Beacon’s Spotlight pages will give organizations and advocacy groups the ability to showcase campaigns by members of their organization or projects they support. Expect more Spotlight pages by journalism organizations in the future, Fletcher said. “We think this is a nice way for projects to get discovered,” he told Through the Cracks. 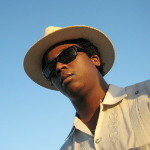 Oakland’s underground economy by Oakland Local. Children’s health on the Wind River reservation by WyoFile. Iowa’s brain drain problem by Iowa Watch. An attempt to fill gaps in environmental journalism by InvestigateWest. Public finance investigations by Southern Investigative Reporting Foundation and investigative journalist Tom Tresser. Tucson Sentinel, who just finished a successful Kickstarter campaign to fund a photo and reporting project, will launch a campaign U.S. Border Patrol checkpoints. All campaigns will be 15 to 30 days long. Some of the seven have received virtually no public support so far. Others are more than 90 percent to goal. This is the first Spotlight page by an organization, said Beacon cofounder Dan Fletcher, but not the first group of projects to launch all at once. Last summer a series of 10 articles raised more than $100,000 for climate and environmental reporting. This isn’t Beacon’s first venture with local, independent watchdogs. Last week the bilingual New Brunswick Daily raised more than $15,000 for investigative journalism. Last month, Texas Tribune raised $3,000 in three days to take a closer look at border towns who haven’t had clean water in decades. “The best journalism is produced in an environment where journalists are free from outside pressure — whether that comes from readers, advertisers or corporate ownership,” Beacon said in a blog post last week to express its support for independent journalism.